I was talking about Strava again the other day and mentioned the challenges. Sign up for a challenge there and it can help keep you going all year long. They have 10k's and 13.1 challenges. 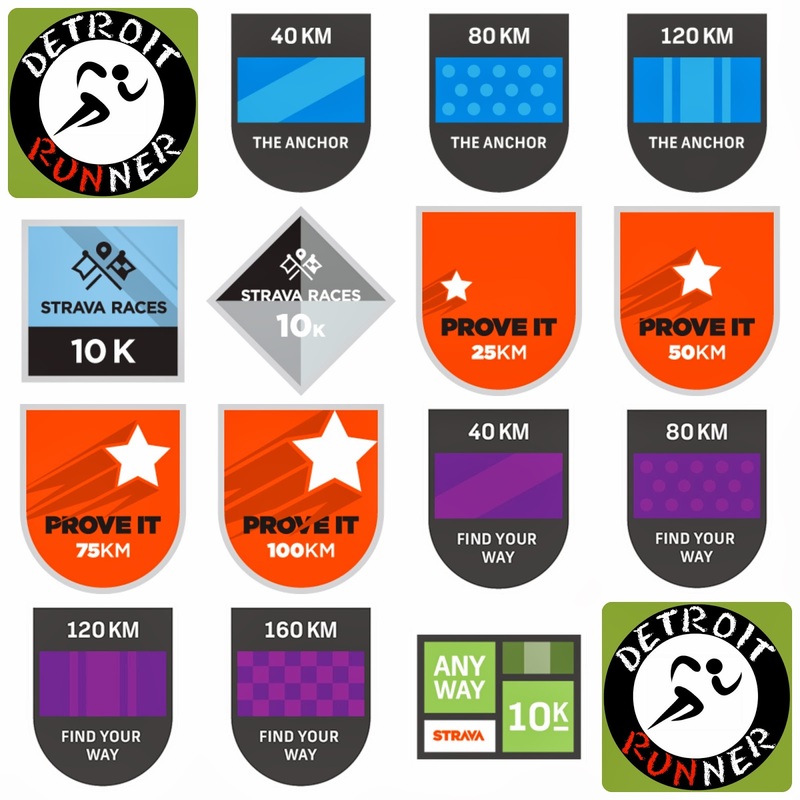 High elevation, longer distances, and just run more challenges where you earn electronic badges. With the Anchor and Prove It challenges, you get milestone badges which is always fun. The prove it challenge even had a shirt you could order if you finished at least 100km or more during the challenge. Great idea! You can also compare yourself to other who sign up for the challenge. There is certainly some crazier people that me in this world when it comes to running. Do you want to challenge yourself all year/Winter, check out Strava and sign up for one.